Starupdailytips.com is one of the leading online publications that aims to create awareness, guide and motivate young students to take up entrepreneurship as a career. Startup Daily Tips also helps existing entrepreneurs to broaden vision and sharpen their skills in order to take their ventures to next levels. We are receiving an enthusiastic response from the aspiring and existing entrepreneurs throughout the world. We at Startup Daily Tips envision to promote an entrepreneurial culture and help entrepreneurs in the entire world. The fact is only a small percentage of aspiring entrepreneurs achieve the feat of success while others end up as mere failures due to lack of proper guidance and directions to start, run and grow the business. We exist to offer rich ideas, insights, tips, and directions to budding entrepreneurs. Our team is comprised of talented and experienced individuals committed to the social cause and building strong relationships based on value-added services. We are well supported by a rich advisory board with brilliant minds from corporate and academic spheres. Rais Dar is the founder of Startup Daily Tips, and its CEO and Chief Technology Officer. MBA in Marketing and an experienced professional who has years of experience in e-commerce, real estate, solar energy, and banking industries. He left Flipkart Internet Pvt Ltd back in August 2014 and went on to become a freelance small business consultant. He is responsible for planning, creating and implementing the strategic direction for Startup Daily Tips. In addition, he takes care of design, maintenance of the website and occasionally writes about startup issues, technology, and employment. 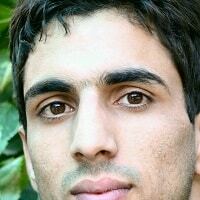 Dr. Shahid Amin has the responsibility of supervising the Editorial staff of Startup Daily Tips publication. Doctorate in Managment, Shahid presently serves as Asst. Prof. at ITM University Gwalior. He has authored many research papers and published cases in International Case center mainly ECCH. He also serves in board for many research journals. 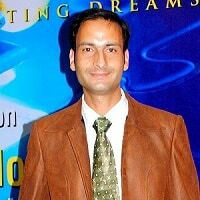 Moreover, he is a regular contributor to leading dailies of Jammu and Kashmir. 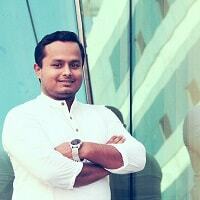 Satyabrata Dash is the marketing manager of Startup Daily tips. His responsibility involves overseeing email marketing, online marketing, newsletter creation and social media marketing for Startup Daily Tips. He has previously worked with many companies including Hinduja Global Solutions and India’s giant online retail company Flipkart. Professor Somen Mitra is in charge of Startup Daily Tips’s editorial activities. 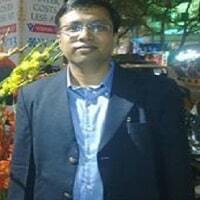 He currently serves as Associate Professor at ITM University Gwalior.